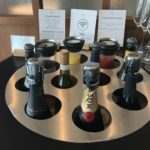 You might expect, given that I wasn’t the world’s biggest fan of Cathay Pacific’s first class The Pier lounge in Hong Kong, that I also wouldn’t like the airline’s outstation lounge concepts. But after a summer where it feels like I’ve spent half of it in the London Heathrow lounge, plus a long visit to the Tokyo Haneda facility, I actually rate them both higher than I do the home base first class equivalent. 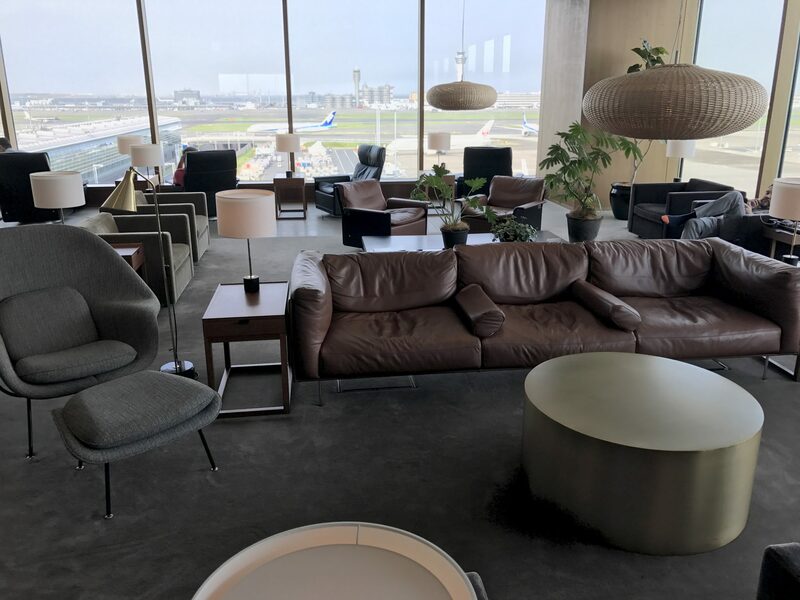 It helps that both lounges are filled with natural light, both being on top of their respective terminals rather than underneath the main level as in Hong Kong. 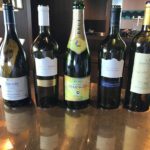 The London lounge is split between a smaller first class and a larger business class section, while the Haneda lounge is a combined business and first class facility. 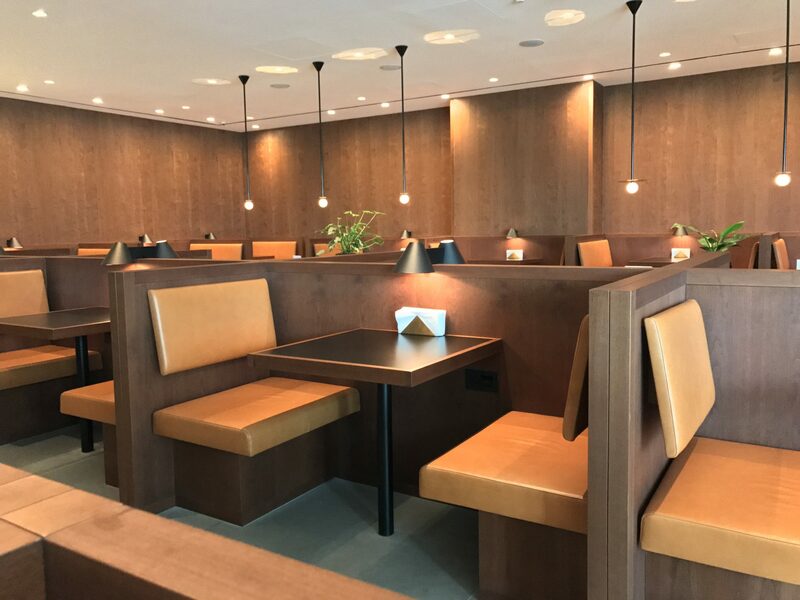 In Heathrow, the crucial difference is that the sit-down dining space in the first class section is a bit more elegant, but the seating area is not multi-functional: there’s no real option for passengers to both have a snack and get some work done. This lack of multi-functionality in the Heathrow first class lounge is one of the same criticisms I have about Cathay’s home base The Pier first class lounge. I know I’m not the only person to want to pop a cup of coffee or a glass of bubbles and a laptop or tablet on a flat surface that’s relatively ergonomic. 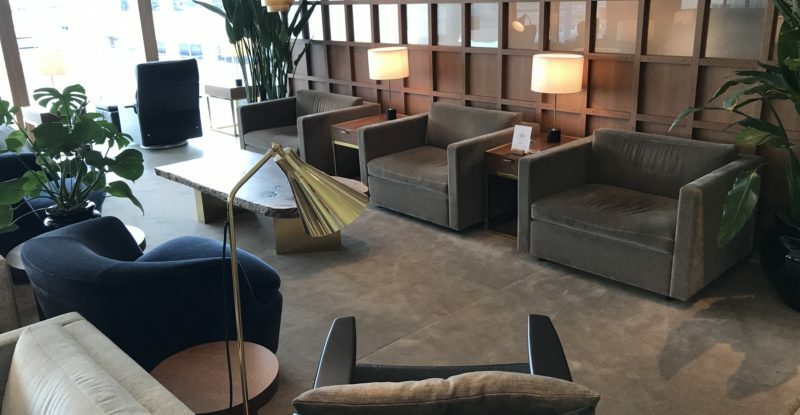 Cathay’s overly residential first class lounge concept sure looks nice, and I love quite a few pieces of the furniture in a home context. 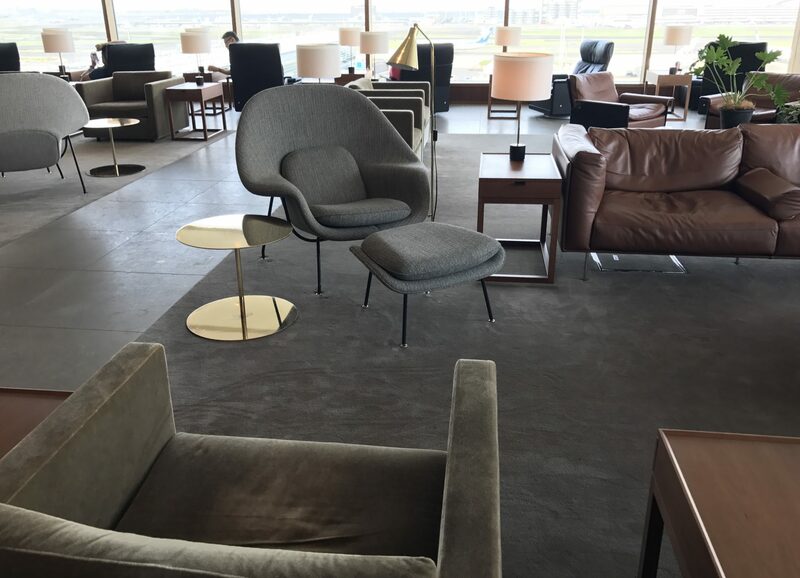 But it’s form over function, and for a lounge that also welcomes frequent flyers (who particularly tend to need to get a bit of work done) it’s bad form to banish them to a dim, windowless office zone. 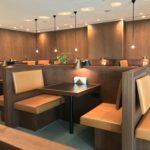 The Haneda business-first lounge offers both a more residential section and a multi-functional zone, and even adds useful side tables next to some of the otherwise low and impractical chairs that also appear in The Pier. During my visit, I noted that more passengers were using the multi-functional chairs, although there were a few passengers curled up on the comfier chairs and sofas. 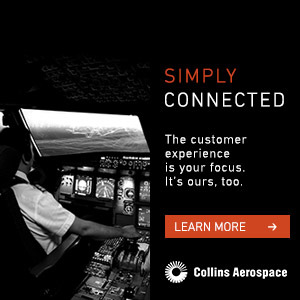 Overall, the mix felt like a really decent set of options for passengers. 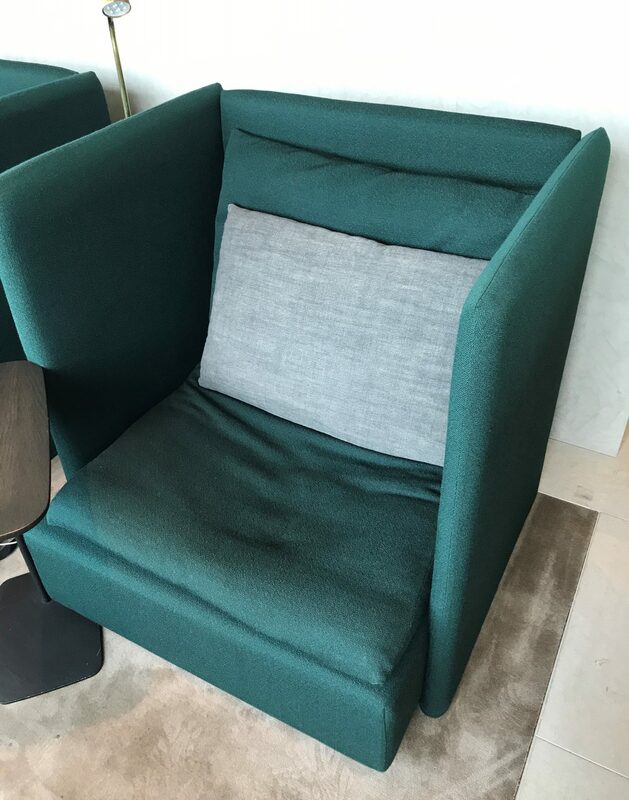 The Haneda and business side of the Heathrow lounge also both offer the useful, comfortable Solo chair in a deep, vibrant green. Each one comes with its own movable table that can multitask as a laptop-friendly work surface, a tablet stand to catch up on some TV, or a side table — and it’s big enough for a small plate and a beverage too. It also comes with its own power socket to recharge devices after the trip to the airport. It’s frustrating that Cathay has picked such a useful chair for its business class areas, but hasn’t translated that multi-functionality into its first class (and top-tier frequent flyer) spaces. On the food and beverage side, Cathay could do with taking a look at the way it designs and specifies its catering. 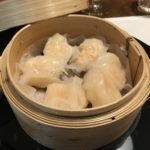 For a start, both lounges could do with catering a bit more to the increasingly crucial Chinese market in terms of menu choices. 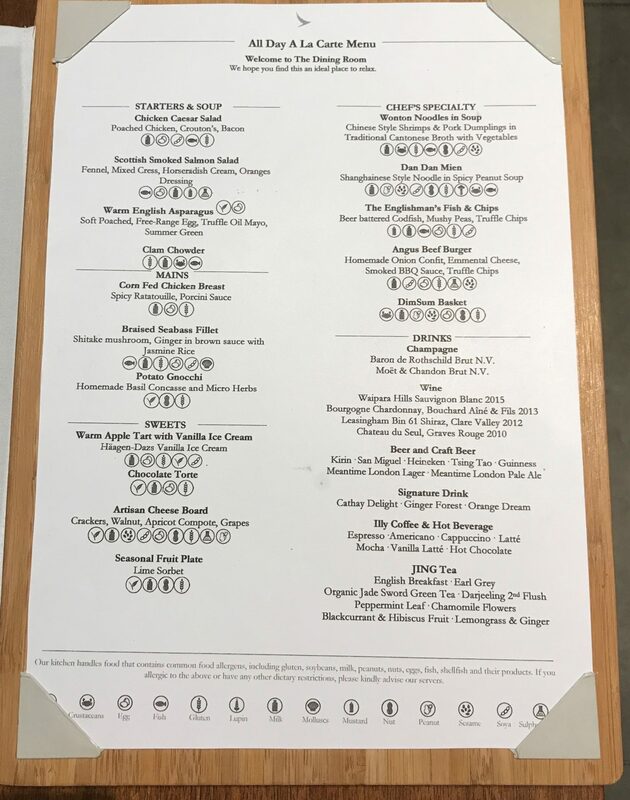 In the London first class sit-down zone, I’m not convinced that the restaurant section feels like the “fine dining area” that the lounge staff proudly it call, with food options feeling closer to a cafeteria than fine dining. 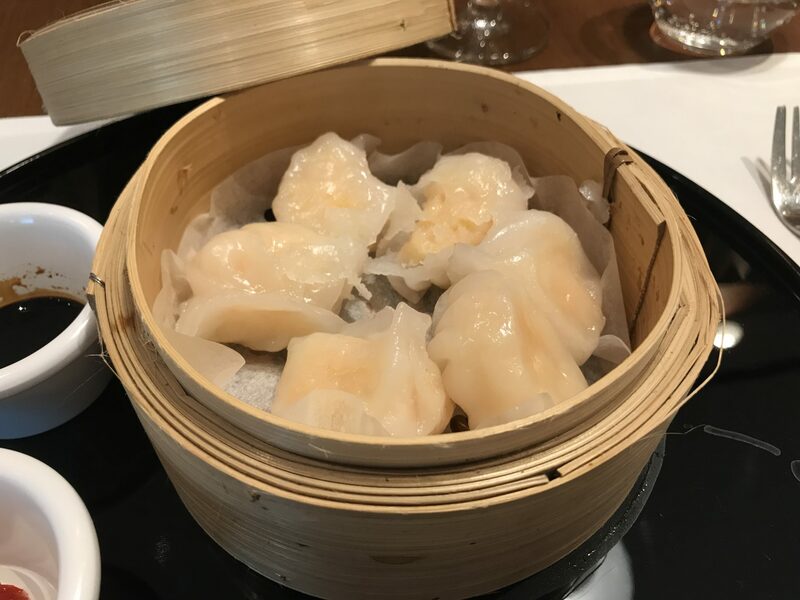 The execution in particular feels like a Hong Kong product team hasn’t truly specified robust enough processes for the London-based lounge operator to execute menu items like dim sum or Cantonese style fish properly. 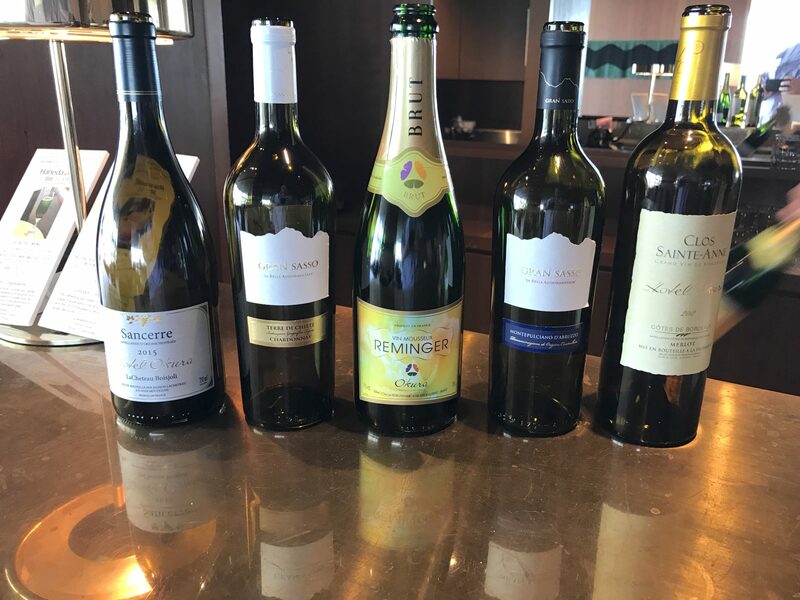 In Haneda, the beverage selection felt overly co-branded with the Okura hotel chain, which operates the lounge, and didn’t include any proper Champagne, relying instead on a sickly and sub-par mousseux from the Ackerman conglomerate in the Loire. (I’m a big fan of the usually Chenin-dominant whites from this area of France, but this one didn’t impress.) 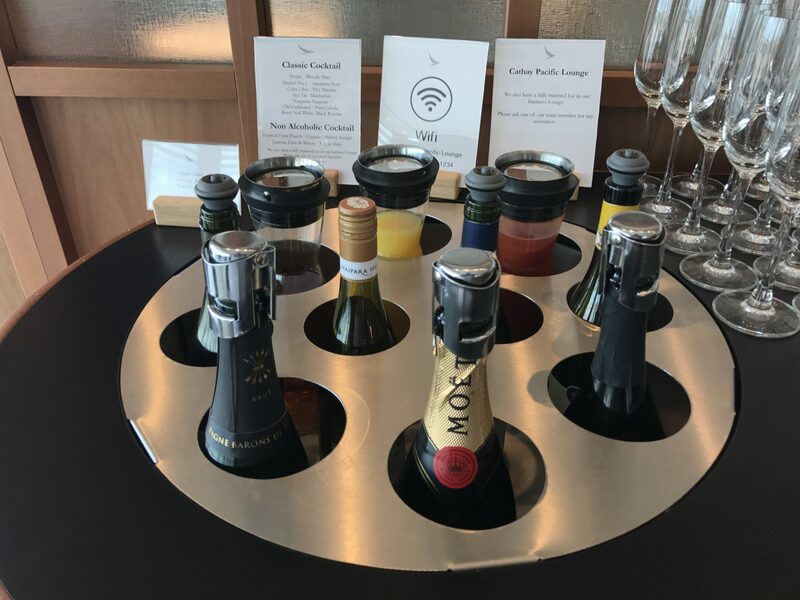 By contrast, in London, two Champagnes and another fizz are on offer in the first class section, with Moët on the business side. But there are real gems to be found beyond the Solo chair, particularly in London — a lounge that I have found myself passing through a half-dozen times in the last few months. 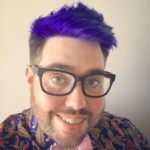 The bar staff in London are truly excellent: just the right mix of conversational and chatty, with an excellent memory for what they poured for which passenger and a great hand for both cocktails and mocktails. The front desk staff in London, too, are superb, and several times I’ve watched them taking particular care with elderly passengers, helping them to a seat and ensuring they have a bite to eat and something to drink.